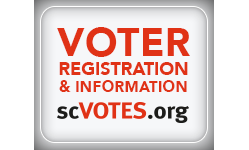 In 2018, South Carolina is launching the process for a new State Water Plan. 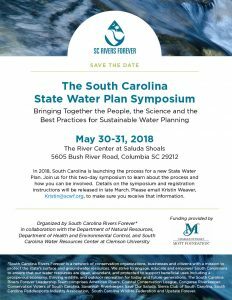 Join South Carolina Rivers Forever in collaboration with the Department of Natural Resource, Department of Health and Environmental Control and Clemson University for this two-day symposium. Bringing together the people, the science and the best practices for sustainable water planning, to learn about the process, and how you can get involved.